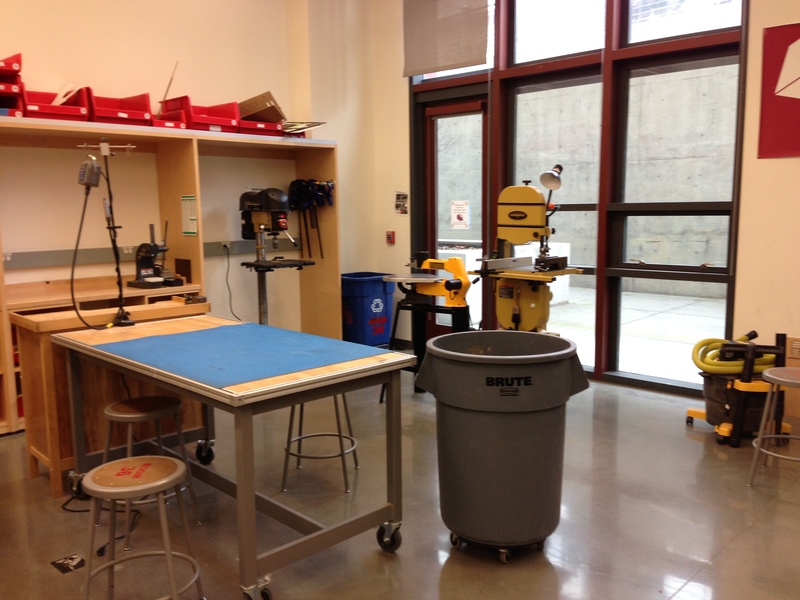 As part of my GSB visit, I stopped by Room 36 — part of the Mechanical Engineering department’s Product Realization Lab. 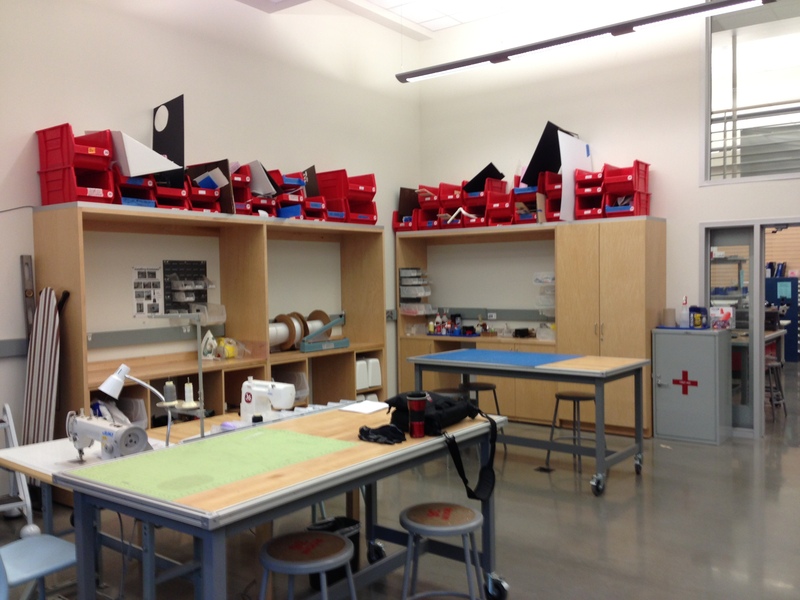 While Room 36 is just the “light” workshop (there are also “heavy” workshops with metal foundry, metal working, woodworking, rapid prototyping, etc. ), the facility is quite capable. 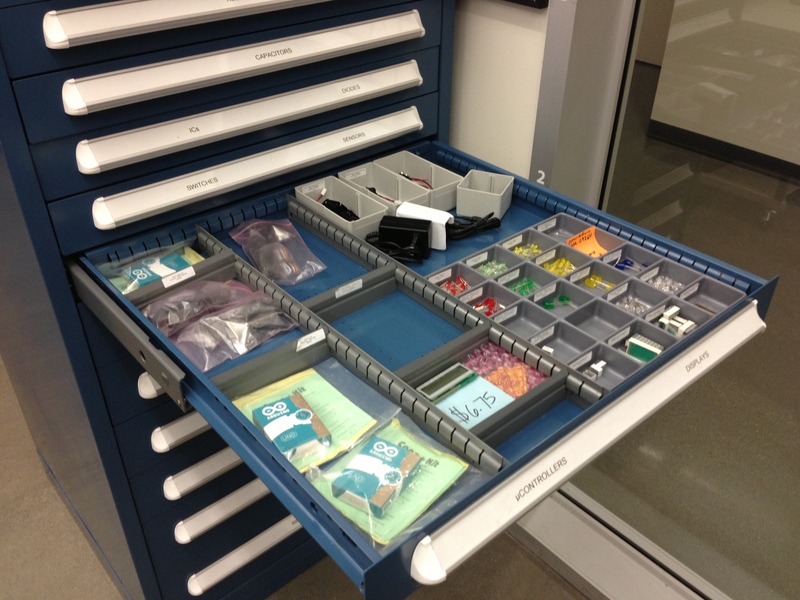 Students can gain access to all the PRL facilities by paying a very reasonable shop fee (this year it was only $100 for a full academic year) and taking an orientation / safety briefing. While there are some ME classes that utilize the PRL facilities, it is NOT necessary to be enrolled in one of those classes to gain access to the PRL’s resources. Marlo Kohn, who runs Room 36, was kind enough to give me a brief tour. 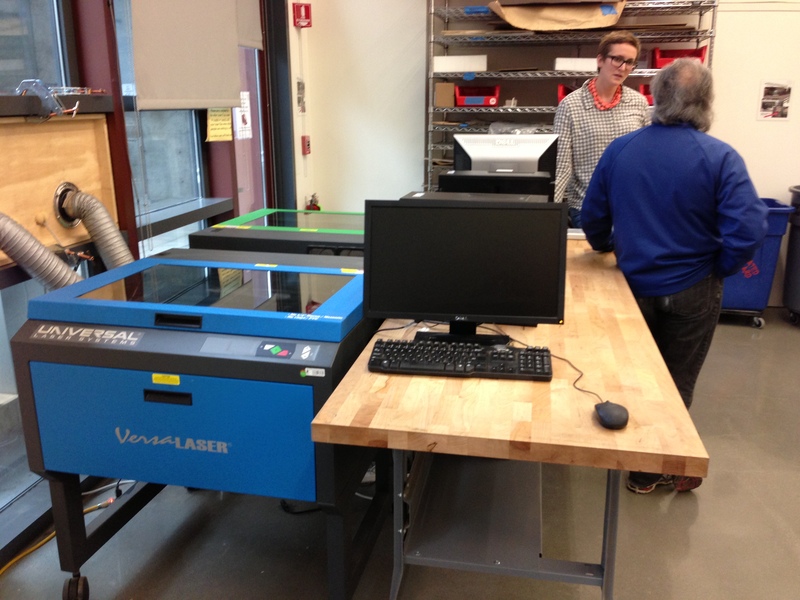 Tools include a couple small laser cutters, industrial sewing machines, drill press, scroll saw, bandsaw, vinyl cutter, heat transfer press, etc. 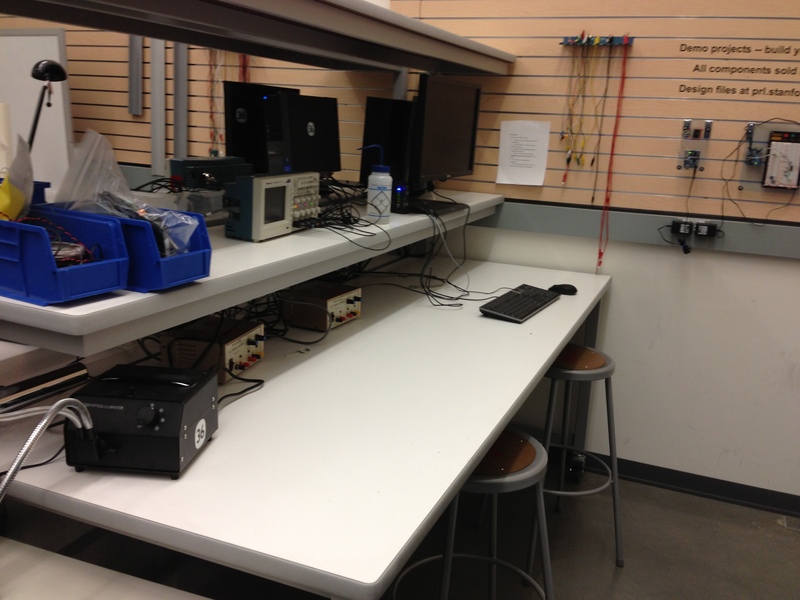 There is also a well stocked pair of electronics benches with computers, o-scopes, soldering stations, adjustable power supplies, etc. 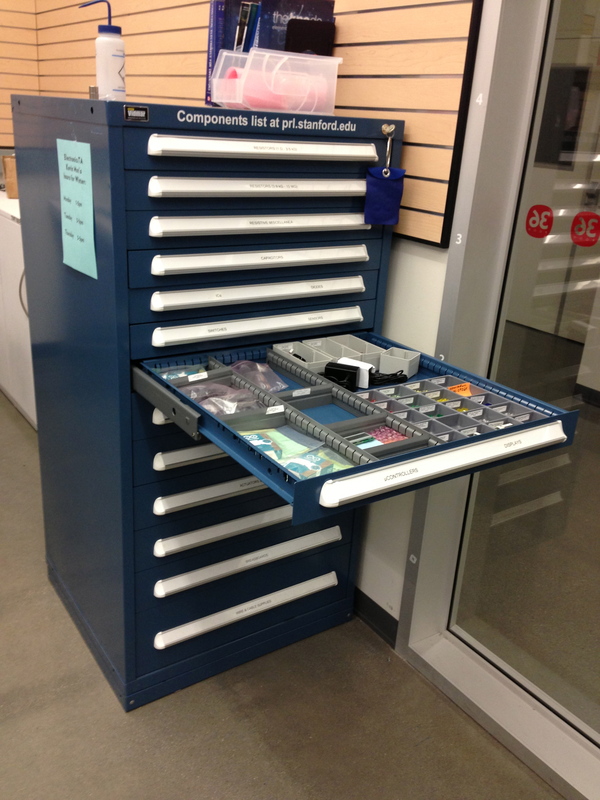 The PRL also sells common components, so unless you’re working on something exotic, you shouldn’t need to leave campus to procure parts. There are several decent shops nearby if you do need to buy parts that are not normally stocked (Jameco, Fry’s Electronics, etc.). I will definitely try to work in ME 203 and ME 318 while I’m on campus! I’m probably causing some confusion — is this guy a GSB student or a ME student?? Well, I’m more personally excited by the economy of “stuff” than I am by the economy of information. Being able to put your hands on your creation has an amazing impact on most people. I’m no exception.